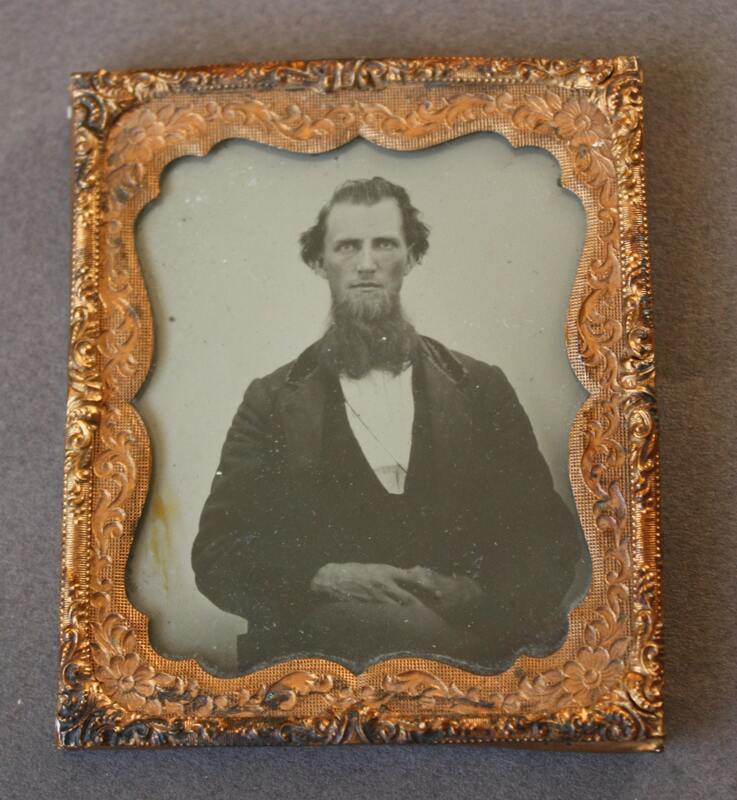 This circa 1850s 3.25" x 2.75" ambrotype exhibits the obvious characteristics of an early ambrotype: two pieces of glass between which the image is sandwiched and a blackened back. Less obvious may be a non-mirror effect. 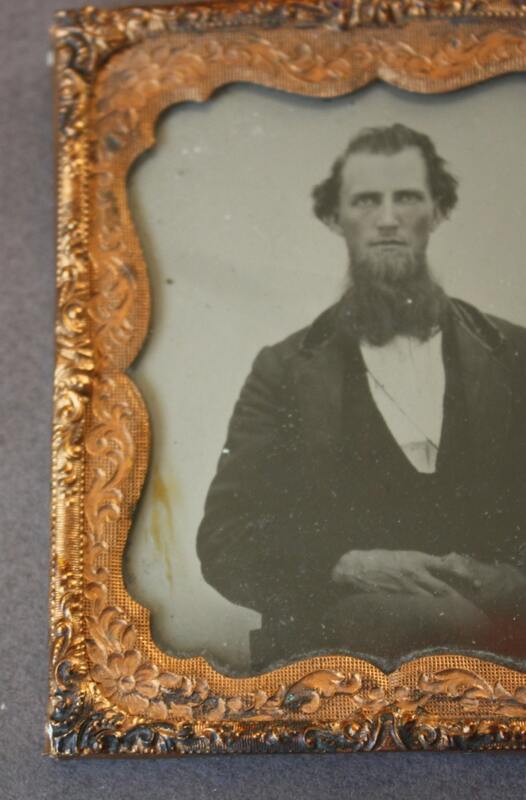 I've not attempted to clean the surface of this ambrotype as it is very delicate and susceptible to scratches. Please note the mark in the lower left corner of the second photo. 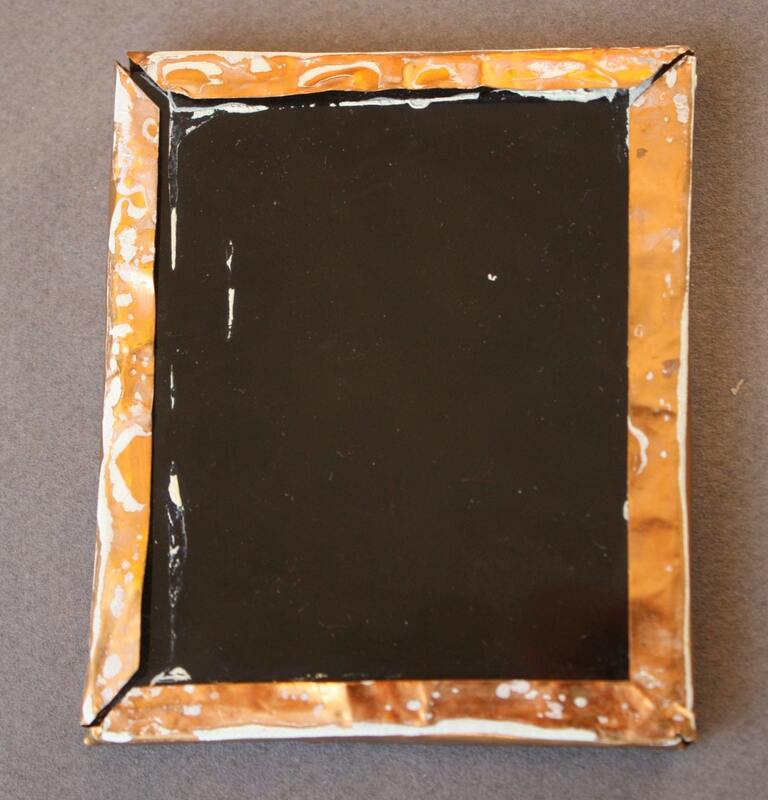 Also, the frame is split in the lower right hand corner but malleable enough to press back into place. The glass is surrounded by a mat and then what is called the preserver. This image did not have a case when purchased. Thank you to www.phototree.com for the very helpful information regarding types of early photographs.